On several dates throughout November and December the Celtic Clovers called out to South Dublin on Ice to lend a helping hand with a great bunch of people who where enjoying a bit of ice skating. 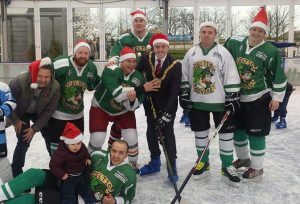 We skated with them, gave a little demonstration of some of our “skating skills” much to the delight of all in attendance and played some hockey with them. 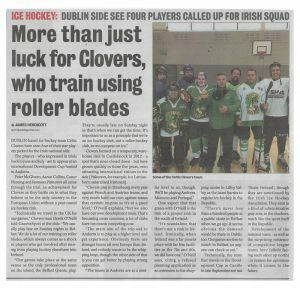 On August 25th six Clovers along with a collection of players from around the country joined together to help raise money for Norman Livingston to travel to Mexico for cancer treatment. 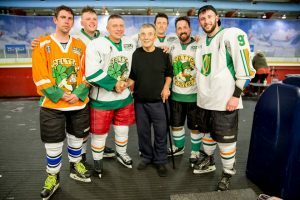 Although the result didn’t go our way, the night was a great success with the two teams raising money just short of £1000 for Norman and thanks to the IIHA who sponsored the ice time, every penny of that goes towards the cause. Well done to all involved in running and supporting the game. 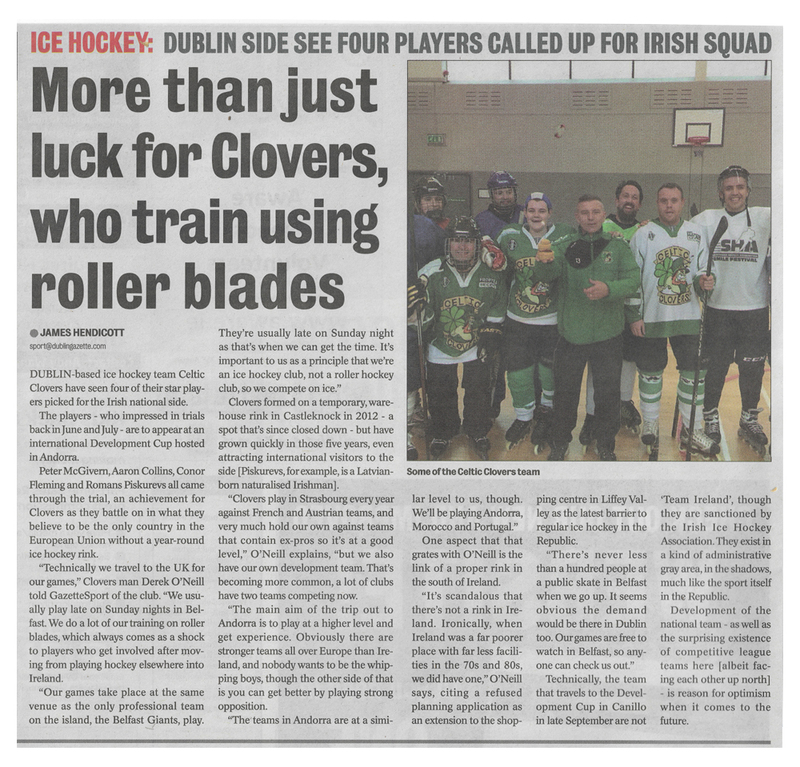 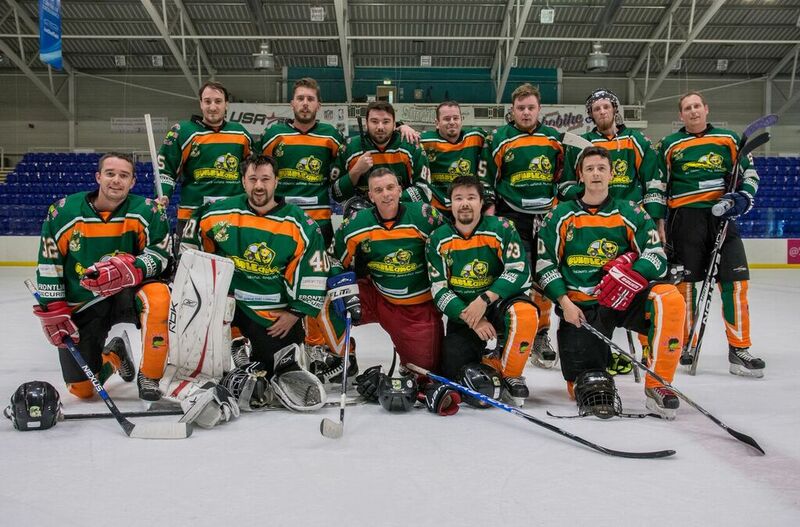 Following the success of four of our players making the men’s senior national team the Blanchardstown Gazette spoke with Clovers PR Derek O’Neill about the the upcoming tournament they would compete in and the state of ice hockey in general in Ireland. 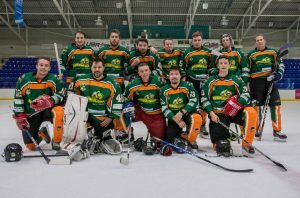 On August 12th & 13th 2017 the Celtic Clovers attended the second annual Summer Smash charity event in Sheffiled, U.K in support of our charity partner BUMBLEance national children’s ambulance service. 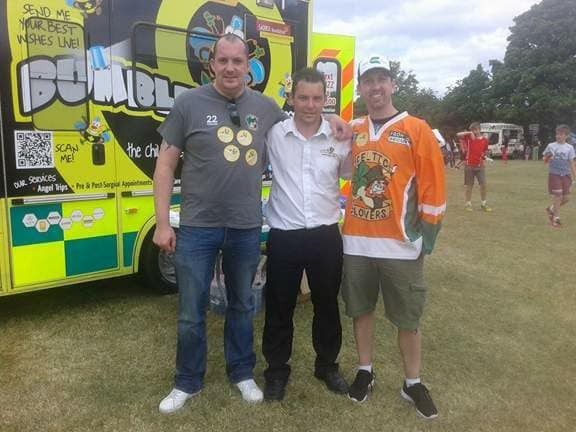 On June 24th & 25th 2017 the Celtic Clovers attended the annual Flavours of Fingal event in Donabate, Co. Dublin to help raise awareness and funds for our charity partner BUMBLEance national children’s ambulance service. 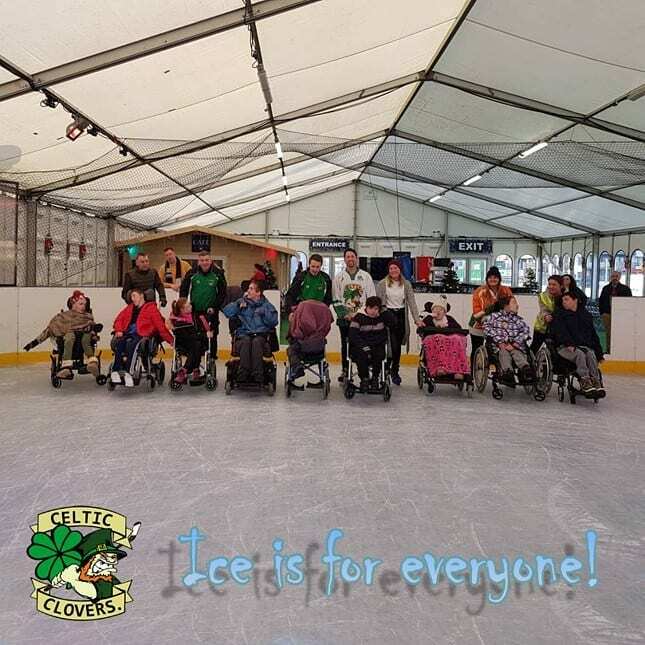 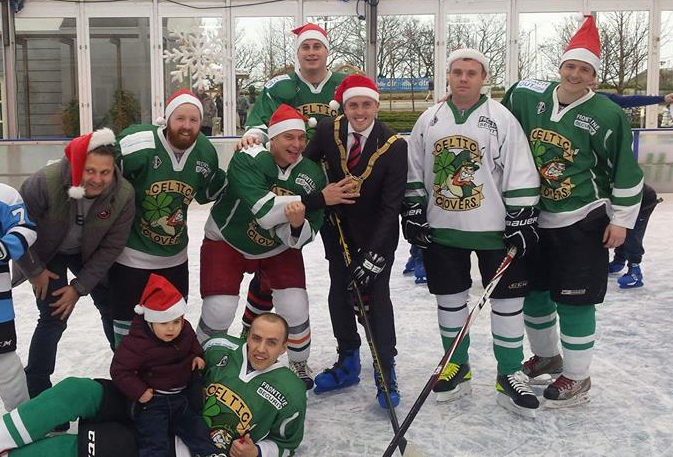 The Clovers dropped down to Dún Laoghaire on Ice to share some ice time with the guys and girls from spinal injuries Ireland and An Cathaoirleach Cllr Cormac Devlin. 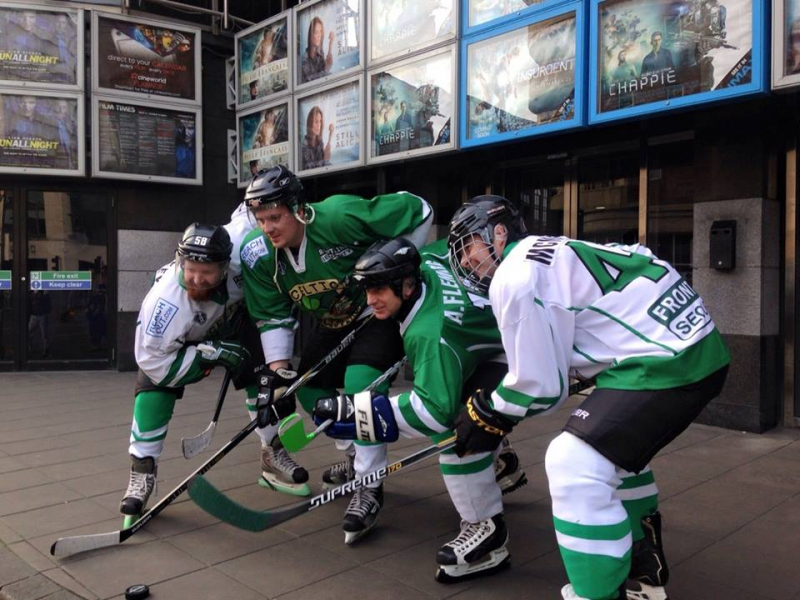 The Celtic Clovers taking part in a promotional photo shoot for the Dublin film festival screening of Russian ice hockey documentary Red Army outside the Vue cinema on Dublins Parnell street.